So (Captain Sim), these are contradictory statements. What is it? Does the 727 Captain have any P3D functionality - or not? I will add it for my P3Dv4 version - but not unless I know what platform is works with. Does the 727 Captain have any P3D functionality - or not? I will add it for my P3Dv4 version - but not unless I know what platform is works with. 1. 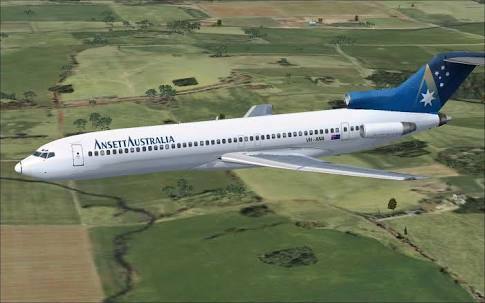 The 727 Captain is available for FSX, FSX Steam and P3D. True. 2. FSX/SE version does not work on P3D and vice versa. True. 3. BUT all of the above are 32-bit anyways, so none of them will work on P3D4. Is there a release date for a P3D4 version? This is the aircraft that started me with CaptainSim, in my FSX days, and my favorite. I now run P3D4 exclusively... Also the 707? Same here, I would like hear good news!! Recently, a survey was released by Navigraph that P3D v4 was the leading Flight Sim! Hoping, CS will up grade B727, soon! Probably because each product is very sophisticated mix of 2/3D art and thousands of pages of code handwritten in accordance with thousands of pages of the aircraft manuals. Multiply by 41 active products. I surely agree that it takes a revised code to make the product compatible but I don't think the aircraft manuals will change because of a new version of SIM (except for the installation). Personally I think you can forget about the 727 update to P3D v4.4. Users are asking this update for almost 2 years now (https://www.captainsim.org/forum/csf.pl?num=1496506789/0 ) and nothing has moved yet. CS said somewhere, dont remember which topic that they have no plans for the 727 in P3D v4. But that was last year so they may have changed their minds. It's really sad if they decide not to make it cause next the the 757 the 727 is my favorite aircraft. And I loved the CS one in fsx. Not to mention that afaik there isnt even a 727 in P3D v4 at all. Not payware anyway. Could be wrong on that. I mean we only just now got the 777 after many many months with no ports. Fingers crossed.